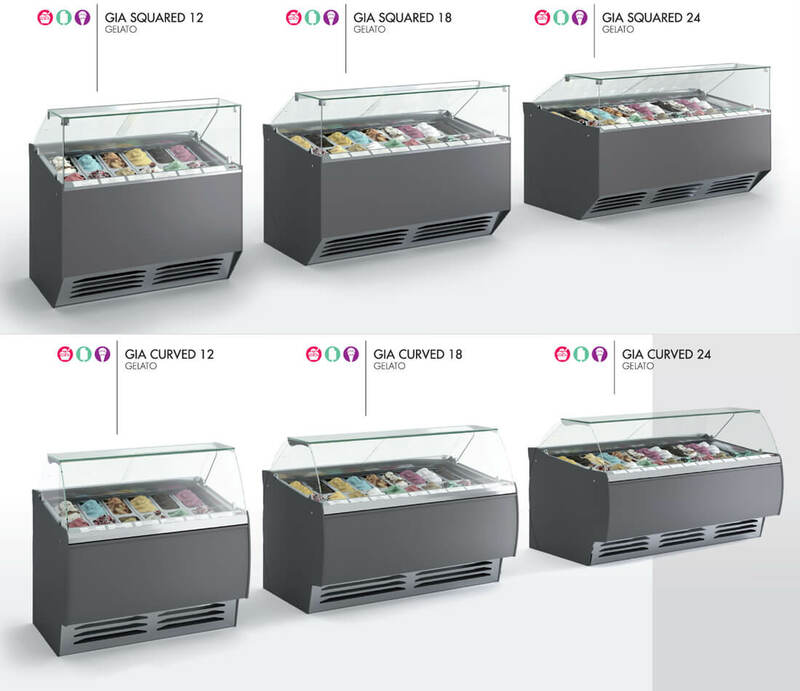 This robust display case has the interior of a first class Gelato display. Gia is the only one to have a split deck that allows for best cooling and temperature distribution on both, front and back rows. It has Pyrolytic heated front glass and an angled display with LED lighting as standard.